While there have been many predictions of email’s imminent demise, the communications platform remains a mainstay for marketers across most brands. For family-run Australian gift business, Identity Direct, regular email communication with its global customer base has been a key driver of sales, particularly in the lead-up to major seasonal gift-giving occasions, such as Christmas. But in January 2014, it became apparent that something was very wrong with the return Identity Direct was getting from its efforts. According to its ecommerce director, Jodie Dunkley, an increase in the frequency of communication in December was met by an alarming drop-off in response rates for its first campaign in the New Year. The company called in email specialists, Return Path, to audit Identity Direct’s delivery processes, and found technical issues had caused inbox penetration to fall to as low as 80 per cent, and down 20 per cent in some countries. One glitch in the email automation platform meant none of Identity Direct’s emails had been going into the inboxes of Yahoo! users for at least 18 months. Vice-president of corporate marketing at Return Path, Tami Forman, says it is not uncommon for new clients to have been unaware of the true penetration rates of their email campaigns. Many of the problems experienced with email-based campaigns are often the result of the tactics of the emailers themselves, as some ISPs will interpret overly-frequent mailing as spam. “There are often times with some clients where we have to tell them they are being a bit aggressive and have to pull back,” Forman says. “But the opposite can be true. If you don’t mail enough, it can feel ‘out of the blue’, and some customer will hit a spam button. Greater confidence that Identity Direct’s emails are getting through has enabled Dunkley to focus on making better use of the company’s data to create better segmentation and behaviourally-driven campaigns, with different content for customers who might not have been opening messages, or opening them without converting. “And inside each customer’s email we have recommendations and personalisation based on what we know about them,” Dunkley says. “It is only based on transactional data at the moment, but we are moving that to include pages they visited on the website as well. For Identity Direct, email remains at the heart of that strategy. Forman says when she started at Return Path 12 years ago, she was told of email’s imminent demise, primarily because teenagers weren’t using it. “But the teenagers 12 years ago are now 20-somethings or young 30-somethings, and guess what, they use email, because they went to work like the rest of us,” Forman says. “People have moved to things like Facebook and texting for talking to their friends, but they don’t necessarily want to get commercial messages there. 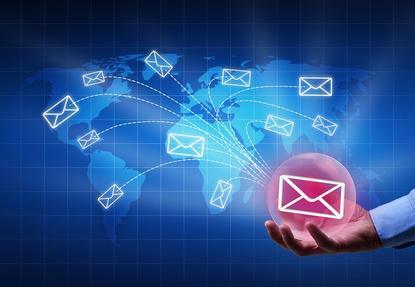 But where you see the drop-offs in email communication is more in-personal communication.